We’re incredibly optimistic about the future of the Nintendo Switch and believe it sets a new standard for game systems. Since it’s relatively new, there aren’t a ton of killer deals yet. But at $300, it’s still roughly as cheap as a PS4 or Xbox One, and super easy to take with you anywhere. If you don’t own one yet, we’ve got your back. Below are all the current Nintendo Switch deals and bundles we could find. We’ve also added some of the best Switch games you should consider and 25 essential accessories you’ll absolutely need. Updated Spring 2019: We’ve replaced a lot of bundle deals, updated prices, added more gaming headset recommendations, and freshened up our accessory and game lists. For reference, the Switch is normally $300, and most top-tier games cost $60 whether you buy a physical cartridge or a digital copy. You can choose whether you want an all-gray version or one with neon blue and neon red Joy-Con. And since part of the appeal of Switch is the ability to turn each Joy-Con sideways and use it as an itty-bitty controller, getting the version with the colorful controllers does make it a bit easier to figure out which side they slide into when you’re done. Nintendo Switch with $35 eShop Credit for $299 ($35 off): This is currently our favorite Switch deal. There are a lot of fantastic games to download on the Nintendo Switch eShop app store, and this is a perfect reason to pick up a few. Try Celeste or one of the other games we discuss below. Nintendo Switch (Red/Blue) + 128GB MicroSD Card for $327: You 100 percent will need a MicroSD card with your Switch because it only has 32GB of storage built into it. We recommend 128GB or higher so you don’t run out of space for a while, and they normally cost around $25-$35 on Amazon. Nintendo Switch (Gray) + 128GB MicroSD Card for $327: Like we said above, you need a MicroSD card, and this is a pretty typical price for one. Nintendo Switch + AmazonBasics Accessories Bundle for $346: These are some simple accessories. We recommend some of them in our official accessories guide. You won’t save much off their normal prices, but they’re all useful. Nintendo Switch (Blue/Red) + Stand & Carrying Case ($325): This bundle only has two basic accessories with it. Nintendo Switch + Mario Tennis Aces + 1-2 Switch for $360 (Was $410): This bundle will save you some money if you’re interested in Nintendo’s minigame collection 1-2 Switch and the latest Mario Tennis game. Nintendo Switch with Gray Joy-Con ($299): Right now, you’re better off buying the eShop credit version above, but if you just want a standard Switch without any extras, this model has gray controllers. 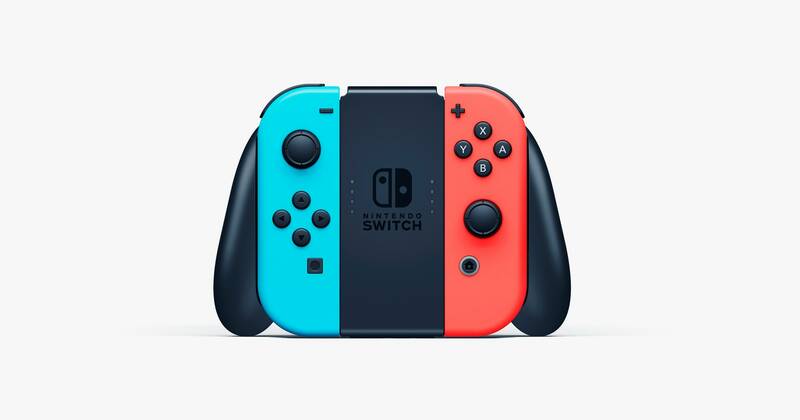 Nintendo Switch with Neon Blue/Red Joy-Con ($299): Right now, you’re better off buying the eShop credit version above, but if you just want a standard Switch without any extras, this model has red and blue controllers. We don’t always recommend refurbished units, but Nintendo has a good track record with refurbished goods, and a couple of us on the WIRED team have purchased refurbished consoles from Nintendo in the past. These all come with a 1-year warranty just like you’d get with a new Switch from the factory. It’s not a huge discount, but if every dollar counts, it’s a way of saving a few bucks. We’ve mostly listed Amazon links in this article, but these are the deals pages for a few major retailers that sell Switch, in case you’re hunting for something more specific. All of these accessories are in our list of Best Nintendo Switch Accessories, but to get you started, we’ve included a few links below for items you really do need. You’ll need a MicroSD card to download and fit extra games. We recommend buying as large a one as you can so you don’t have to buy more in the future. We also highly recommend buying a screen protector, a travel case, and a Nintendo Pro Controller. An extra Dock is nice if you have more than one TV. Using a gaming headset on the Switch is more complicated than it should be. Nintendo’s new online service requires you to use a smartphone to chat in games like Mario Kart 8 and Super Smash Bros. Ultimate, but if you also want to hear in-game audio in your headset, you have to connect it to the Switch via a 3.5mm headphone jack. Fortnite, and possibly other games, do not use the smartphone app. We recommend the two headsets below if you want to get the most out of your headset. There are a lot of fantastic Nintendo Switch games, but we’ve highlighted a few of our favorites here. For even more suggestions, read WIRED’s Best Nintendo Switch Games. Next PostNext Autonomia, Matteo Salvini avverte Luigi Di Maio: "O si fa o blocco tutto"